All you need to know to get started with content marketing, from building personas to content mapping and content ideation and creation. Content isn’t ‘stuff we write to rank ‘higher’ or ‘infographics’ or ‘long-form articles.’ Content is anything that communicates a message to the audience. Anything.” – Ian Lurie, CEO, Portent, Inc. Content marketing is all about storytelling and let’s face it, we’ve been doing this since we started to speak. Good storytelling holds attention, engages the audience and delivers something valuable and memorable. The stories in today’s business world get iterated via a variety of methods: blogs, tweets, videos, newsletters, emails, landing pages etc. Basically – anything an organisation produces that communicates a message. These are your stories. This is content marketing. But in order to ensure your stories are heard and remembered there are some basic guiding principles for getting started. Your content marketing strategy should be fully integrated with your marketing and overall business strategies. Taking a holistic view of marketing will help performance with marketing channels supporting each other. Firstly you need to determine the ‘why’.What are you aiming to achieve from embarking on a content marketing initiative. be seen as a thought leader in your industry niche? Once you have identified your goals it’s important to keep them in mind when generating content. And each piece of content produced needs to be aligned to these if it is to serve your business well. Understand ‘who’ exactly you are talking to. If you try and hit the whole world your story will get lost. Trying to tailor it to suit everyone will only dilute your message. What is their job role, their level of seniority? What other sites do your potential audience frequent on the web? What channels do they use to communicate? LinkedIn, Twitter, Facebook, Blogs? What are their pain points? And importantly can you help with these? Realistically there will be more than one ‘fits all’ profile. Refer to your current customer base and break this down into several personas. But be careful not to create too many. You are, after all, going to have to consider each persona when generating content – will it be relevant to them, of value, will it make their jobs easier? Too many personas will prevent your content from having ‘focus’ and so prohibit a clear message. Importantly though, use insight gathered from your content analytics to ensure you update, refine, add, delete personas as necessary. Your business (you hope) will evolve over time and so should your personas and subsequently your content. This is where content mapping comes in – match each step of your sales funnel to individual personas and content types to maximise engagement. Now that you’ve determined ‘why’ and ‘who’ it’s time to determine ‘how’ ..
Understanding your audience will help you decide which content format is likely to work best for your business. Identify what your listeners already consume and take this as a starting point. Blogs, newsletters, e-books, video, podcasts, white papers, emails etc. There’s a plethora of ways in which to get your message across. And you’ll need to define a mix that works for you. But you’ll be able to spread a body of content across multiple formats. A white paper can be chunked down into a number of blog posts, blog posts can be chunked down into social media messages and so on. The nitty gritty. This is your story. It needs to be relevant, to educate … to be useful. It also has to have great UX. And importantly it needs to be something that can be amplified. Go research what’s out there that is working well. Social media can provide a good window into trending topics and competitor activity. Check out industry thought leaders. And don’t forget to speak to your customer facing team – they’ll be a great resource for highlighting what’s important to users of your product / service. What topics are getting links? What keywords are getting top traffic? What type of content are the top brands and your competitors creating? What’s happening in your world that is relevant? Hot topics, events, seasonal changes etc. Incorporating all or even just some of the elements in a piece of content can be a real challenge. There will be issues of time constraints, budgets, skill sets, but look for tools to help. They are out there – and there are plenty that are cost effective, intuitive to use and that require little or no training. The best way to know whether or not your content is working for you is to gain insight from your readers. Select tools with strong analytics platforms. The more granular the insight you can obtain the more you can learn. It takes time to build an audience and the more information you can glean about what is valuable to them the better. But to gain insight you have get started in the first place. Get your feet wet. Don’t spend too long in trying to achieve perfection in the first instance. Better to get going, analyse, see what works and see what doesn’t. Iterate as you go and amend your strategy and the content itself accordingly. 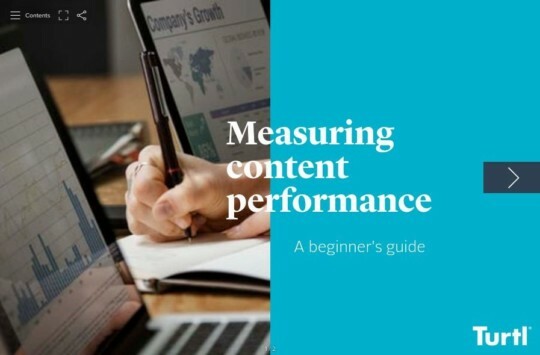 Being agile and being prepared to consistently improve your content will help you hit the right audience with the right content expediently and effectively. Repeat process as often as necessary!